This Bob Mitsven egg is beauty, built for speed with Skip Frye-esque rails allowing for ultimate trimming. 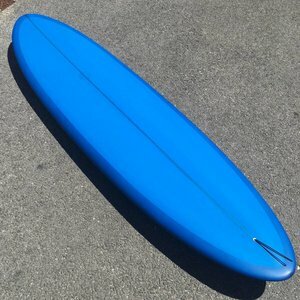 It's a stripped down business orientated board for people concerned with trim and engaging the rail. 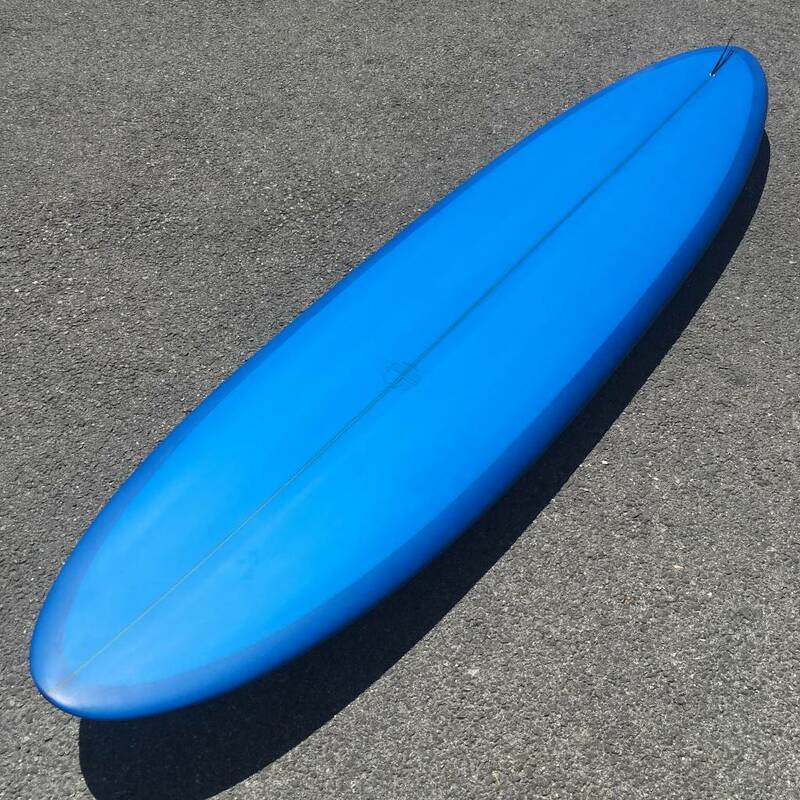 This board is 100% hand built with predominate down rails, it still has a good amount of up turn making for well defined sharp edge. 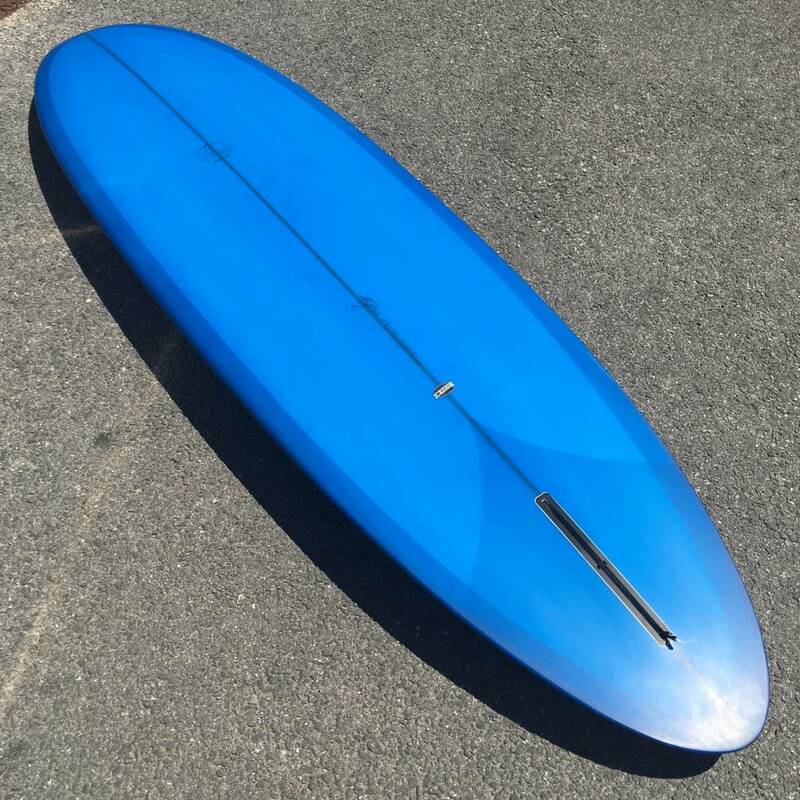 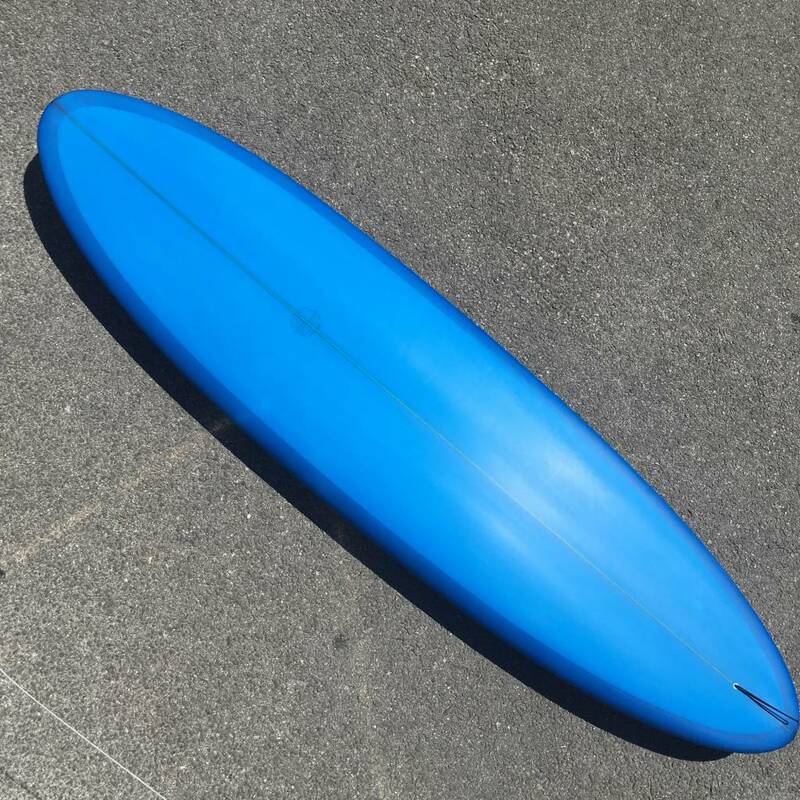 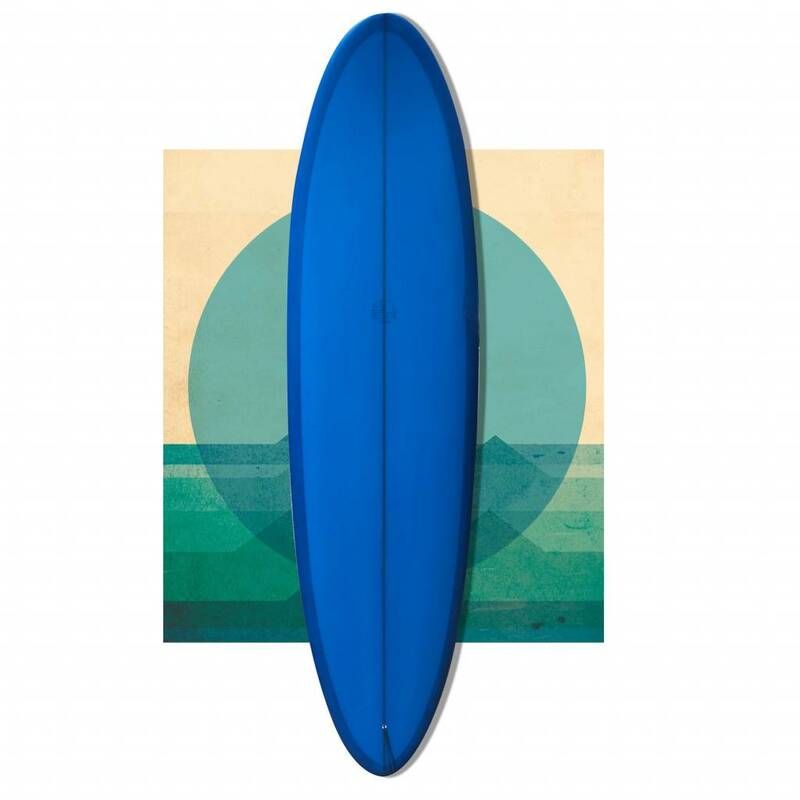 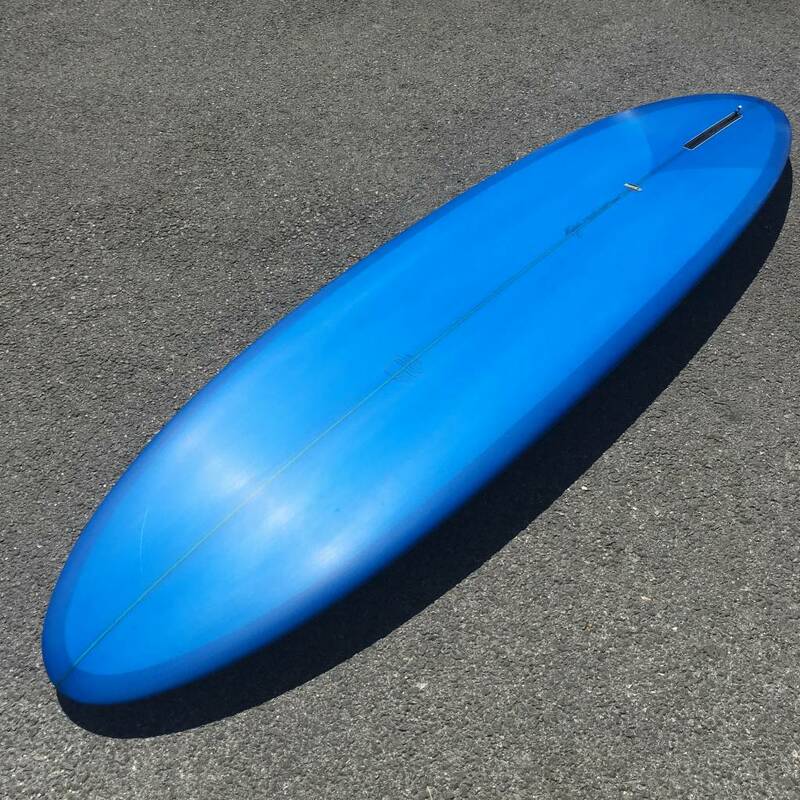 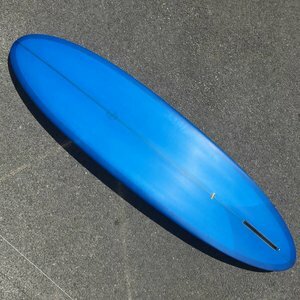 Its a perfect board for painting nice lines on a variety of waves. and if you want to carve it up; the down rail will keep edge, you ripper, you.